Retail $44.95 SAVE 23% ! 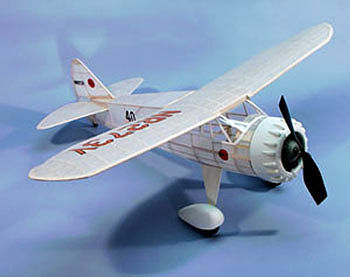 Over 75 Lazer-Cut Parts and Hand Selected Balsa. Light-Weight White Tissue Paper Covering. Vacuum-Formed Plastic Cowling, Wheel Pants and Clear Plastic Windshield Sheet. Full Size Plans, Step-By-Step Instructions, Balsa Sticks, Lazer-Cut Balsa Sheets, Vacuum-Formed Cowling & Canopy, Plastic Propeller & Wheels, Wire Propeller Shaft & Landing Gear, Tissue Paper, Decals and Clear Plastic Windshield.